Seneca Caverns offers a variety of group tours and options. Group rates start at 15 persons and for larger groups (25 or more) reservations are requested. Additional discounts do not apply. Group rates are available for Seneca and Stratosphere caves and there is also a combination rate to do both. School Groups also have two package options. Package One has gemstone mining at The Great Seneca Mining Co, and Package Two includes the mining and a brownbag lunch with a beverage. 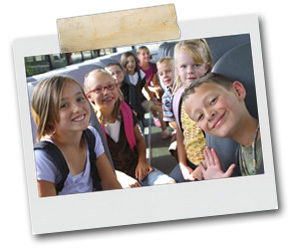 Tour buses are welcome and pre-arranged, all-inclusive pricing is available for all activities at Seneca Caverns. Are you a school or camera club? We are the only cave that offers photo tours that allow you to go inside the cave with your tripod and flash to learn the challenging art of cave photography. Call for details. Although we close on October 31st, group tours can be arranged in the off-season. A minimum of two weeks notice is required and you must make a reservation. Call for more details. Seneca Caverns welcomes you to call or email to arrange your group outing. Call 304.567.2691 or Lharper@greerindustries.com.